Make your client a partner in portfolio management with the 2018 Edition of the Stock Trader’s Almanac. This invaluable resource keeps your clients informed on market cycles and trends so they can make smarter trades. With the stock market primed for prosperity and gains, there is no better time to educate your clients than right now. Pricing discounts begin with bulk orders of 25 or more copies. The bigger the order, the bigger the savings! Order now for an even better deal. Order 500 copies or more and receive an exclusive webinar from STA editor-in-chief Jeffrey Hirsch and a free 90-day subscription to the Almanac Investor e-newsletter. Stay ahead of the market and generate wealth for you and your clients. See how Stock Trader's Almanac can improve trading performance with this exclusive content. 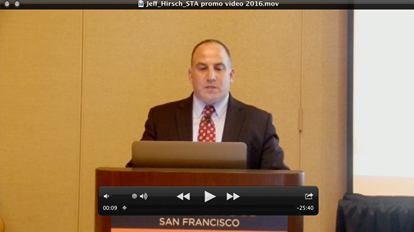 How can financial advisors use Stock Trader’s Almanac with their clients? Financial advisors have been using the Almanac since it first came out in 1967. The Almanac opens up a dialogue between clients and advisors to further discuss and improve portfolio allocations. Advisors have been giving the Almanac to clients as a gift for almost 50 years. 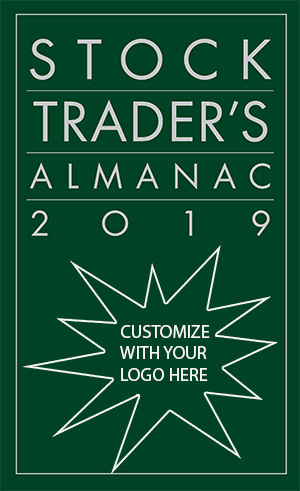 With the advisor logo, name and number imprinted on the cover of the Almanac clients tend to call the advisor more to make trades and generate more business. Then there is the performance kicker. With the Almanac in their tool kit advisors can better turn market information into knowledge and wisdom that produces better investment returns for their clients, which generates more business and referrals. The Almanac alerts and pinpoints the times of the year, month, week and day when the market has the highest and lowest probabilities of advancing. The sector seasonality section enhances any sector rotation strategy. The Almanac is packed with market insights, wisdom and trading strategies. Do readers need any experience in stock trading to get something out of reading the Stock Trader’s Almanac? Not at all. The Almanac was built for beginners and experts alike. It is a perfect starting point for anyone starting out in the market as well as the seasoned trader. What advantages can investors gain from using the Stock Trader’s Almanac? The Almanac keeps you one, two, three or more steps ahead of the market so you know what to expect at any time of day, week, month or year. 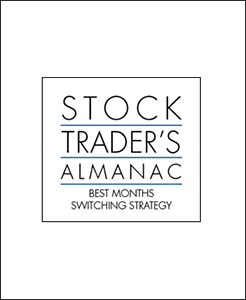 Using our Best Six and Eight Months Seasonal Switching Strategies, plus technical timing is an incredible trading system that has been working like a charm for 65 years. The sector seasonality strategies are also incredibly effective. What do you see as the greatest strength of the Stock Trader’s Almanac? Those who study market history are bound to profit from it. It reminds you every day of little-known market patterns and tendencies that astute traders use to boost profits. It gives you that calendar edge. How has the Almanac influenced your own stock trading? It has given me better discipline and helped me keep my emotions in check as well as instill a host of successful trading strategies and techniques from seasonal market timing to fundamental stock picking and technical analysis. What’s one big stock trading trend or event that you see coming this year? 2016 looks like it will be a rough year for the market. 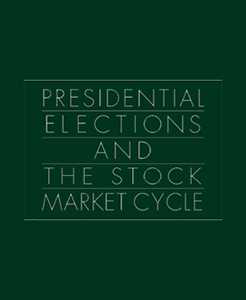 The contentious Presidential Election and the likely increase in interests by the Fed should put pressure on the market. What’s the biggest stock trading mistake people make that could be avoided by using the Stock Trader’s Almanac? Selling winners and holding losers. In the back of the Almanac there is a Strategy Planning and Record Section that makes this crystal clear. The hardest thing in investing and trading is to admit you are wrong and sell your loser. The best thing you can do is let your winners ride.